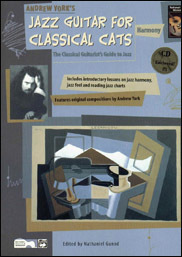 World-famous guitarist and composer Andrew York has created the "Classical Cats" series to be the classical guitarist's ultimate guide to jazz. This book includes introductory lessons on harmony. The CD includes exercises and examples performed by the author.